and cute cousins all dressed up for an egg hunt. I've never been a big fan of eating Cadbury Creme Eggs, but they have always fascinated me. How did they get the sugary yolk inside there? Well, it turns out to be pretty easy! When I saw this recipe on Pinterest, I knew I had to give it a try. The recipe gives two methods of making the eggs - rolling by hand or using a chocolate mold. The later seemed much simpler, so I choose that route. I also piped the "whites" and "yolks" into the chocolate shell rather than rolling them like in the recipe. Happy Easter, to all my peeps! 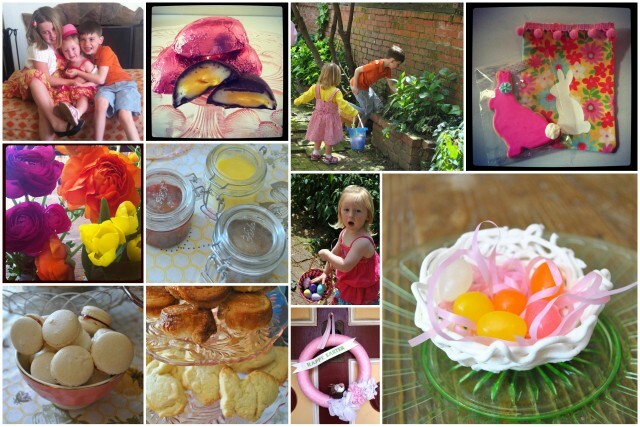 Do you have any favorite Easter traditions? I'm always up for trying new things, but Easter wouldn't be Easter without bunny scones at my house. Check out my recipe over at Cake.